Would you wear these connected crawlies? We want to live inside the collective MIT brain. The latest wearable tech project to come out of the Media Lab - in collaboration with Stanford and the RCA - is Kino, a set of roving robotic accessories - referred to as "living jewellery" - which can transform the clothes you're wearing. The bots are designed to be kinetic, on-body assistants, which can complete tasks including changing the aesthetic of your outfit via cover designs and moving positions or 'drawing' tracks on materials such as velvet. It can also act as shape shifting smart jewellery changing from an oversized brooch layout to a statement necklace. Plus a Bluetooth mic and speaker could even allow the robotic accessory to act as a smart brooch for taking calls. 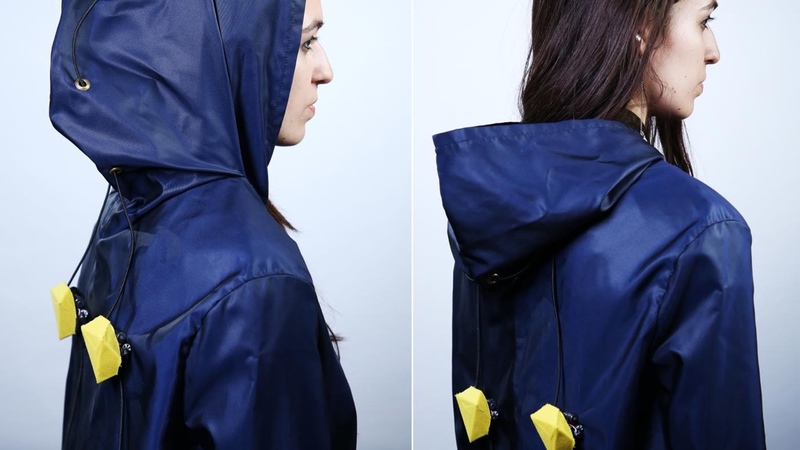 From a connected self perspective, the team is also experimenting with sensors that react to changes in temperature and trigger the robotic accessories to move down the wearer's back, pulling the drawstring to unfold the hood on a jacket. A similar use case would be to tighten a jacket when the temperature drops - a "wearable Nest thermostat" - or have a garment that can switch between tight and loose fits. In other words, automated, climate-sensing clothing. Kino: Kinetic, “living" jewelry for dynamic fashion from Cindy (Hsin-Liu) Kao on Vimeo. The devices can move around the garments, turn and rotate; they could include an LED matrix display and additional sensors could include body movement, light and proximity. Now, we're not expecting to wear these prototype connected critters anytime soon - at the moment, they look like angular, colourful paperweights stuck to shirts and coats. And the uses cases right now are interesting while still being short of day-to-day useful for most people. But one sentence to pay attention to from the blog by the researchers, lead by Cindy Hsin-Liu Kao, is this one: "It is our vision that in the future, these robots will be miniaturized to the extent that they can be seamlessly integrated into existing practices of body ornamentation." Count us in.